Call to open an account, or pay at the time of purchase via Mastercard or VISA. You may also pre-pay by check. For Account Holders, our terms of payment require payment on the 10th of each month following purchases and unpaid balances are considered past due if not paid by the end of the month. Past due balances are subject to a service charge of 2% per month. Our minimum charge with free delivery is $50.00. Orders received by 10:00AM may be delivered the same day or no later than the following day. Call (415) 826-2990 to open an account! Shipping is free to our Bay Area customers. However, California residents and businesses must pay the California State Sales Tax. 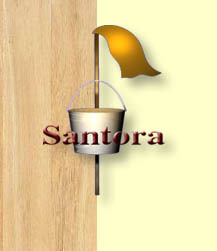 Santora Apartment and Building Supply has an absolute commitment to keep your information secure. 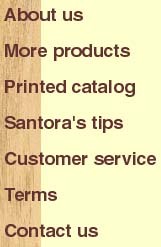 The information you share with us is used to fulfill your order and to keep you up-to-date on the status of your order. After you place an order, we'll contact you with information about the order as needed. The information gathered as part of your purchasing is used only to process your purchase and is never shared with anyone, except in connection with your order. Credit card or check information is only shared with financial institutions that process your payment. Shipping information is shared with manufacturers / shippers. We do not sell, rent, share, trade or give away any of the information you provide to us except to the financial institutions processing your payment or the manufacturers / shippers that produce and/or deliver your order. No third party will solicit you as a result of information within our control.